Mahindra Lifespaces has pioneered the concept of an integrated business city through ‘Mahindra World City’ developments in Chennai and Jaipur. These developments cover 1796 hectares (4,437 acres) and house over 125 reputed global companies, providing an integrated environment for Life, Living and Livelihood. 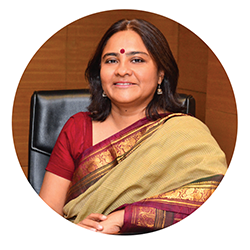 Sangeeta Prasad, CEO, Integrated Cities and Industrial Clusters, Mahindra Lifespace Developers Ltd., discusses how the the development of successful integrated cities have all contributed to Mahindra Lifespaces being recognized as a developer with a pioneering spirit. WHAT WAS THE GENESIS AND VISION OF MAHINDRA WORLD CITY? In the 1990’s, India was reaping the benefits of economic liberalisation initiated at the beginning of the decade. A progressive, free-market system had been adopted with the goal of making the economy more market and service-oriented; simultaneously private and foreign investment was growing. It was against this backdrop that the seeds of Mahindra World City (MWC) were sown. It can all be traced back to Chennai in 1997, when the city was fast evolving as an automobile hub and the Tamil Nadu Government was keen to facilitate the creation of infrastructure for the automotive sector. Mahindra World City, Chennai, was, thus, initially conceived as an auto-ancillary park to cater to the needs of the automobile sector in the state. However, as the Indian economy continued to grow, building quality urban infrastructure was deemed essential for the country to sustain its growth momentum in the long term. The Mahindra Group then decided to broaden its vision and scope to build integrated business cities and invest in infrastructure. 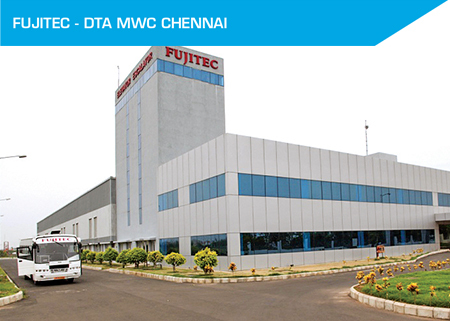 MWC Chennai then evolved to encompass the information technology (IT), auto-ancillary, engineering and apparel industries, in addition to social and residential infrastructure. 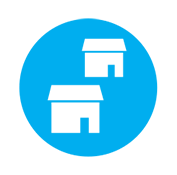 Our vision was for a new, economic nerve center that would serve as a self-sustaining, alternative urban node, while promoting industrial development, creating jobs and benefiting local communities. Today, that vision stands tall and Mahindra World City embodies our approach to sustainable urbanisation via the development of pioneering integrated cities built on the ethos of ‘Livelihood, Living and Life’. Promoted in Public-Private Partnership with the respective governments of Tamil Nadu and Rajasthan, the MWC developments in Chennai and Jaipur span approximately 4500 acres and encompass dedicated Special Economic Zones (SEZ), Domestic Tariff Areas (DTA) and residential and social* zones. 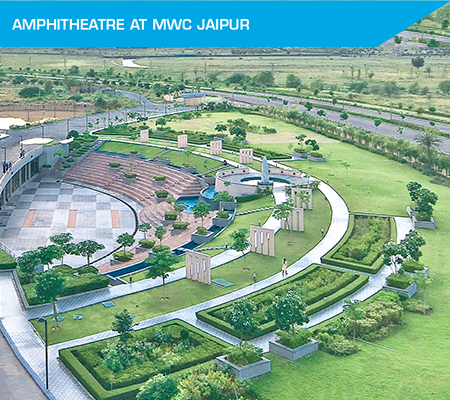 *The social/residential zone at MWC Jaipur is currently at the planning stage. WHAT ARE THE KEY DIFFERENTIATORS OF MAHINDRA WORLD CITY? The Mahindra World Cities have emerged as destinations of choice for industries and individuals by creating sustainable ecosystems that enable both to grow and flourish. They provide an empowering environment for accelerated business growth via world-class industrial infrastructure that facilitates faster go-to-market and increased focus on core business operations. The World Cities also focus on integration of local villages and communities within their eco-system via the creation of skilling, employment and entrepreneurship opportunities and community building initiatives. We have made significant contributions to economic growth in the regions we are located in. 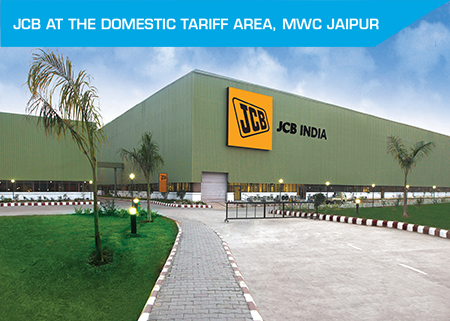 Together, MWC Chennai and MWC Jaipur are home to more than 130 domestic and global companies, including Infosys, BMW, JCB, Mahindra & Mahindra Ltd., Wipro and Capgemini, among others. The two World Cities have created employment for more than 1,20,000 persons (direct and indirect) till date and combined exports crossed Rs. 11,000 crores in FY 2017. Combined investment by Mahindra World City and its customers across both developments has crossed Rs. 8,420 crores till date. Moreover, the residential zone at MWC Chennai, which is home to more than 1,200 families across its four multi-format residential projects, offers an improved quality of life via balanced and healthy living. Flexibility is integral to our city planning process, together with deep sensitivity to precious natural capital and the environment. We have achieved significant environmental firsts thus far. MWC Chennai is certified as India’s first IGBC Gold (Stage 1) Green Township and MWC Jaipur has been recognised as the first project in Asia to receive Climate Positive Development Stage 2 Certification from the C40 Cities Climate Leadership Group (C40 - a global network of large cities acting to address climate change).With Sustainability at the core of the Mahindra World City experience, each development incorporates global best practices in water and energy conservation, waste management and biodiversity management. YOU MENTIONED ‘LIVELIHOOD, LIVING AND LIFE’. PLEASE EXPLAIN. At Mahindra World City, we are inspired by our mission of Sustainable Urbanization woven around a strategic business plan that aims to bring about positive change for both individuals and institutions. The concept of ‘Livelihood, Living and Life’ flows from this philosophy and is now an integral part of our value proposition. MWC Chennai, for example, offers myriad amenities and features to facilitate ease of convenience for residents, the CBSE-affiliated Mahindra World School, a hospital, banks and ATMs, a commercial centre with retail outlets and a food court, a child care centre, the MWC Club and a business hotel are all located within the City. The first step is the development of quality industrial infrastructure, and collaboration with leading domestic and Indian companies to set up facilities onsite. 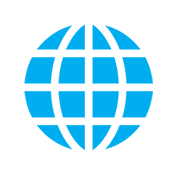 This, in turn generates employment, revenue and exports, thereby creating an economic backbone. Once a critical mass of industries/commercial catchment is attained, the scope is widened to enhance the ‘Living’ element, namely the development of residential, commercial and social infrastructure to facilitate quality living in Mahindra World City. We have completed an economic land use plan for approximately 450 acres of residential, institutional and social infrastructure at Mahindra World City, Jaipur. 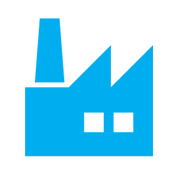 A leading global consulting agency has helped us identify a distinctive value proposition for the new zone, which will pivot around place making and involve a multi-faceted approach to planning, design and development. As one of the fastest-growing major economies in the world, India continues to display a robust macro outlook. Sustainable and well-planned industrial infrastructure development will be a key driver of this growth story and will bolster competitiveness across global indices. Accordingly, as part of our growth strategy in the Industrial Clusters space, we are working towards developing a network of smaller-scale industrial parks in Western and Southern India. We are currently working on two such industrial parks – the first is located near Chennai (NH 16) and is a joint venture with Sumitomo Corporation of Japan, while the second is near Ahmedabad. International Finance Corporation (IFC), a member of the World Bank Group, has also recently partnered with us for the development of industrial parks across Gujarat, Rajasthan and Maharashtra, with an investment commitment of USD 50 million. Sustainable and well-planned industrial infrastructure development will be a key driver of this growth story and will bolster competitiveness across global indices. AS AN URBAN PRACTITIONER AND DEVELOPER OF CITIES, WHAT ARE YOUR VIEWS ON THE 100 SMART CITIES MISSION? The Smart Cities mission is a visionary initiative to transform India’s urbanscapes and is expected to inject new life into our urban centres via strong emphasis on improving the quality of life of all citizens. With 90 cities identified so far for the implementation of various projects, it is heartening to see India’s cities and their growth receiving focused attention from experts across disciplines. Citizens are also increasingly aware of the dynamics that influence urban outcomes and there is renewed commitment to the vision of ‘cities for all’. Effective and collaborative implementation will be critical in determining the success of this mission.